Heavenly blog! : Nr. 401: Jeremiah prophesied favor and act vis a vis my service and prophet service / works! Nr. 401: Jeremiah prophesied favor and act vis a vis my service and prophet service / works! Jeremiah prophesied favor and act vis a vis my service and prophet service / works! Jeremiah 1 5 Before I formed thee in the belly I knew thee, and before thou camest forth out of the womb I sanctified thee, and I set thee a prophet unto the nations. 6 And I said, Oh, Lord, Lord! Behold, I can not speak: for I am young. 7 And the Lord said unto me, Say not, I am young! But to all those whom I send you, you shall go, and all that I command you, you shall speak. 8 Be not afraid of them, for I am with you and will rescue you, declares the Lord. 9 Then the LORD reached out his hand and touched my mouth, and the Lord said unto me, Behold, I have put my words in your mouth. 10 See, I have set you this day over nations and kingdoms to uproot and tear down, to destroy and overthrow, to build and to plant. 11 And the word of the Lord came unto me, saying, 'What do you see, Jeremiah? I answered, I see a rod of an almond tree. 12 Then the Lord said to me, You have seen right, for I am watching over my word, so I fulfilled. The prophet Jeremiah experienced and I see many similarities with my service and others who have a prophet service today! 1) The calling of Jeremiah got was when he was in his mother's womb. V. 5 Before I formed you in the womb I knew you, and before you came out of the womb I sanctified thee, and I set thee a prophet unto the nations. My own mother told me the prophetic voice, I mean: "That we had to move back to Norway so that I could get good and spiritual impact." We then lived in Denmark, but it was when we came to Norway that I was saved and born again 16 years old, all glory to the one true God and His Son Jesus Christ. 2) God's word should be put in his mouth. v. 7 And the Lord said unto me, Say not, I'm young! But to all those whom I send you, you shall go, and all that I command you, you shall speak. 9 Then the LORD reached out his hand and touched my mouth, and the Lord said unto me, Behold, I have put my words in your mouth. I've always had a love for God's word that the prophet Jeremiah, this has been a benefit that I have always loved my bible. 3) The Prophet's service was "twofold". One that was "negative" and one that was "posetive". Both sides heard together and were necessary. Jeremiah dual service is more relevant today than ever. We can not just preach that God is good, he is both good and rigorous. The "negative" part: v. 10a See, I have set you this day over nations and kingdoms to uproot and tear down, to destroy and overthrow. Notice how similar what I've done here on the blog and the website. I have attacked and exposed humbug and spiritual low point that we see today. I've torn down, until I've built up. This has become one essential part of the costs and hurts. 4) So the "posetive" part: v. 10b See, to build and to plant. So is the posetive section. Where as the Prophet Jeremais did too, pointed to solutions and opportunities. But first the people of God come level and in a straight position towards his God. Barack Obama had his message of "change" and "yes, we can"
I shall not kommenterere Barack Obama speech and politics if it could be tempting. But this is the "change" or the Norwegian change is in line with God's word. It is only when there has been a conversion that a real "change" and "yes, we can" fit. Before it's really dead, destruction and demolition match! 1. Pet. 4. 17 For it is now time for judgment to begin with God's house, but it begins with us, what will be the end for those who do not obey the gospel of God? 18 And it is just hard saved, where shall become of the ungodly and the sinner? It is cowardice and dishonesty to speak against sin in the world sooner than speak against sin in the church! We see many eksmepler this today and the "believers" think that this is quite allright, but it is not! What the world's children have not we basically anything with teaching writing, but what the believers and others who profess the name of Jesus, we have something. They shall we t.o.m. judge and expel the church if they do not repent. 1. Cor. 5. 12 For what have I to do to judge them also that are without? I also do not judge just them that are within? 13 But them that are without God judgeth. Therefore put the evil from you! My preaching is Apostolic - in opposition to the majority of the Norwegian Christianity! I reveal, warn and exhort the people of God. Children of the World, what are you "big" sin? That they have not accepted Jesus Christ and thus hold God to be a liar! World's children live in darkness, while God's children also live in darkness and large it all when one has a completely misguided understanding of what the Bible teaches is the very most! How can such. Christianity accept gjengiftede preachers and pastors? I've prayed about this and I got a clear answer from the Lord. He told me that it was owing to there was so much darkness, confusion, smus, sin and heresy in the hearts of believers, why did they accept such blatant and hesse sins! I also point out the posetive and way out of it that will drive you wild! 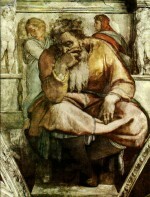 Jeremiah would not only tear down and demolition, but he was also to build and to plant. That's what we do. We have a building preaching when we put such an emphasis on Bible teaching, not least systematic Bible teaching. And we plants, including starting a new church as an alternative to everything else that's out there. Which is not healthy and biblical. Want to join? Then simply contact us to meet up, make veslignet in the Lord Jesus Christ! If you \ you to support us? Here is our account number in the Post Bank: 1204 33 59280 Do you believe in what we are doing? I think especially the teaching we put out? Bible commentaries and everything else we need help with when I go into full labor. Should I take time off, I need your support financially and in prayer will you be using? Account number of Post: 0535 06 05 845 Be blessed in the Lord Jesus Christ's name! The possibilities are many, but we must stand together and help each other forward in the service.